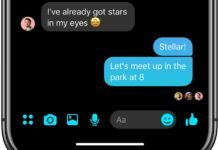 Apps Like Showbox: Showbox is the streaming platform to stream movies, online series, shows, and entertainment chunks. It is one of the best entertaining application offering you a large collection of HD movies that you can watch on your laptop, smartphone, and even your desktop. But like other apps, Showbox also has its drawbacks. Keep continuing to find the best Showbox alternatives. Its servers tend to remain down sometimes which makes the streaming quite difficult with this app. Or there can be no other reasons because of which you want to try some other apps. 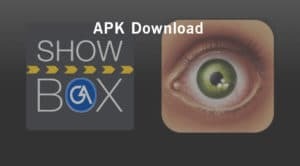 I am writing top 5 apps like Showbox in this article and you get Showbox download apk link below. So, we are here with some Showbox alternatives which you can try and enjoy if you are bored with the network or have some issues with Showbox. Most of these Showbox alternatives are available across multiple platforms including Android, iOS, Windows, and Mac. 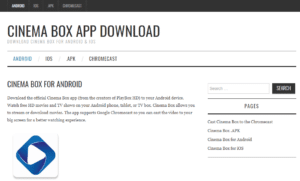 CinemaBox HD is one of the best streaming apps that is available for Android as well as iOS. All the movies in CinemaBox are in HD quality and are available free of cost. Here you can get the movies and their subtitles all at a time. You just have to search your favorite movie on the CinemaBox and you are set to enjoy the movie. 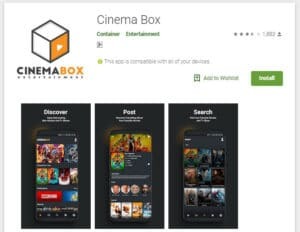 You can download the app from the official site of CinemaBox or from the Google Play Store. FreeFlix is the perfect app to download movies and TV shows for free. It is compatible with almost all devices like Android, iPhone, Mac, Windows, and Firestick as well. The app has a huge collection of new and old TV shows and movies for you. It is always updated on time and brings new content to you. Playbox is an app to stream unlimited movies, TV series, cartoons, and anime in HD from your mobile device for free. This app works on both Android and iOS. 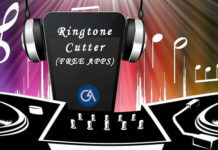 It has no subscription fee and no premium version to pay to get additional features. The PlayBox HD is similar to the Showbox, and a distinguishing feature is that it features a bluish theme. Megabox HD is an excellent alternative to Showbox which is available only for the Android devices. It occupies only 1.8 MB space on your phone which makes it convenient to install in your phone even if you have less storage on your phone. Here you can stream movies in different quality like 360p or 720p quality depending on your choice. The interface of the app is simple, clean and easy to use. Movie Box is also a good alternative to Showbox that is used to stream movies in HD quality on your device. It contains all the latest movies and TV shows as the database is updated from time to time. There is no need to perform any registration process in order to watch movies online. These are the Best 5 Alternatives to Showbox that can provide you the best streaming experience. So guys just try and explore the provided list and choose the one that best fits your requirement. In case you found any other app useful then comment its name below in the comment section, we will add it to our list for sure.